Over 110 homes from 3-8 bedrooms, most with private pools and some pet-friendly, from golf view to oceanfront. From 1-4 bedrooms, economy to elegant, most have on-site pools and many are ocean-view. Here at Sunset Rentals we understand what makes a vacation home right for our guests. We make it our business to find vacation rentals of the highest standard that go above and beyond our guest's expectations. Many homes and villas qualify for Premium Property status. Our Premium Property Amenities are on par with those that you and your guests would find at the finest hotels and inns. Hilton Head Island boasts 60 miles of public pathways and nature trails on which pedestrians and cyclists can enjoy the spectacularly diverse attractions of this beautiful island. There is no more beautiful spot for golfing than Hilton Head Island. Whether you are a beginner or a seasoned golfer, these 30 acre courses will far exceed your vacationing expectations. What a perfect place for a family vacation since there are many planned activities for children of all ages. Don't miss the swimcalendar of events for the Coastal Discovery Museum or the organized kids kayaking camps. 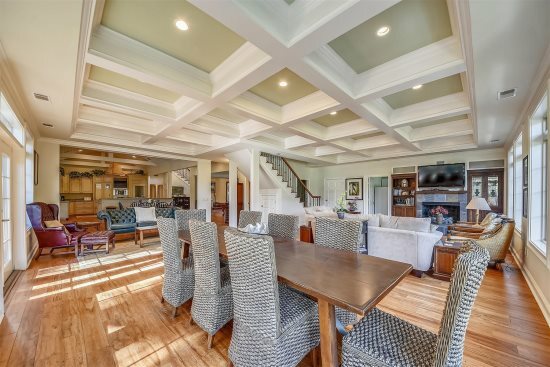 32 Crabline Court is an exquisitely decorated 5 bedroom, 4 bathroom home located in Hilton Heads Singleton Beach area! 32 Crabline Court is an exquisitely decorated 5 bedroom, 4 bathroom home located in Hilton Head’s Singleton Beach area. It offers a short walk, or bike ride, to Singleton Beach as well as quick access to the beautiful Chaplin Park, shops and restaurants. Approximately 10 steps up lead to the porch, a great place to sip on your morning’s coffee. Entering through the front door you will find a hallway leading you to the calming and comfortable living space. To the right, you will find a large sectional sofa and two comfy armchairs. The living room is equipped with a flat-screen TV and DVD player. Ready to host the next family movie night. The very chic and modern kitchen offer stainless-steel appliances, spotless granite countertops, an island with a breakfast bar, and 2 barstools. Similar chairs surround the dining room table, which offers seating for 8. A full-size stackable washer and dryer sit tucked away in the hall. The first two bedrooms are located on the first floor. A queen master suite with a TV and sitting area as well as an en-suite bathroom with his and her sinks and a standing shower. The second bedroom has a full bed and TV and shares a bathroom with the common area. The full bathroom is equipped with a shower/tub combo and an abundance of storage. The second-floor landing overlooks the open living room before leading to the three remaining bedrooms. Two bedrooms feature 2 twins a piece and TVs, sharing a bathroom with a shower/tub combo and his and her vanity. The final bedroom is a second master bedroom with a king bed, TV and DVD, and sitting area as well and its own en-suite bathroom with a single vanity and standing shower. The delightful, private, backyard has a screened-in indoor pool under the home. The patio offers a grill to make your mouthwatering barbeque along with a table with seating for 6. Stellar, spotless, and stately; your Hilton Head retreat awaits. Happy Vacationing! 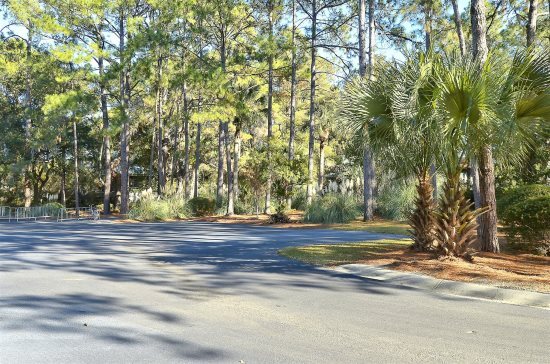 Crabline Court is in the Mid-Island area of Hilton Head, located between Palmetto Dunes Resort and Port Royal Plantation. This area offers proximity to uncrowded Atlantic Ocean beaches, restaurants, shopping, and family entertainment centers. Chaplin Park, featuring free tennis, a large playing field, and a dog park is located within a 5-minute walk. The Crabline beach shuttle is available Memorial Day-Labor Day.